Agarose gels can be run at a large range of voltages�from 0.25�7 V/cm. High voltages save time but can result in overheating of the gel, even leading to melting of low percentage agarose gels. High voltages can also cause band smearing, particularly of fragments >10 kb. The sharpest bands can be obtained by running gels in TBE overnight at 0.25�0.5 V/cm. Agarose Gel Electrophoresis. 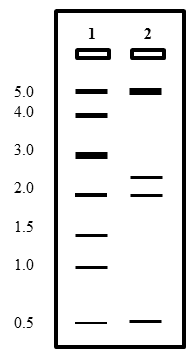 To check PCR products, restriction digests, etc.. Generally use a 0.8% gel. For separating fragments that are 500bp or smaller, use a 2% gel.